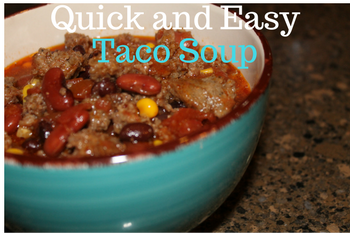 This Taco Soup recipe is a great “go-to” recipe for those cold days, busy days, or those days that you just want to cook something easy. This is probably one of the easiest soups you can make. This recipe serves a crowd and also makes for some fabulous left overs. This Taco Soup is screaming with a bold flavor. You get all of the taste of tacos in a warm and comforting soup. Serve a pot of this soup on any fall or winter night and it will be a hit with your family. This is true comfort food! This can be made in the crock pot or on the stove. My family can handle the heat, so I usually use the hot sausage in this soup. The toppings for this soup are endless–sour cream, shredded cheese, jalapenos, cilantro, guacamole or tortilla chips. This recipe comes together fast and it’s AMAZING!! 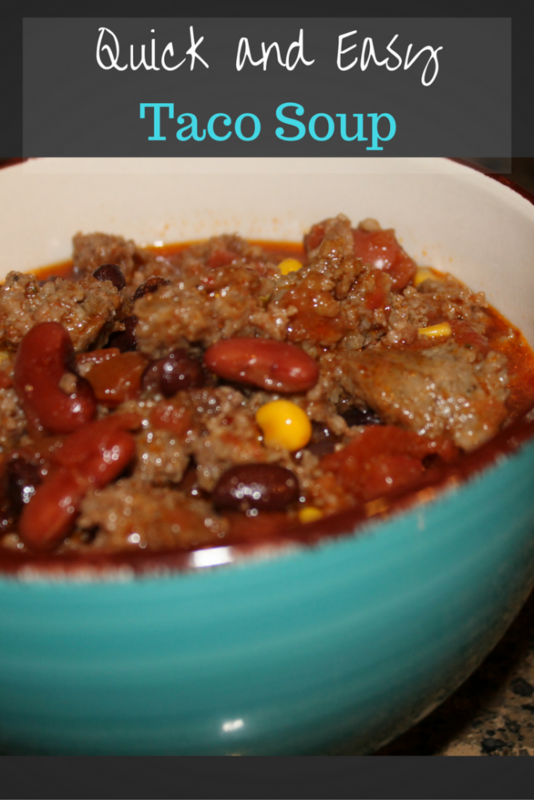 Check out these products that make eating your Taco Soup easier and fun! Make your next meal AMAZING with this quick and easy Taco Soup. Brown meat and onion together in a deep soup pot, drain. Add other ingredients. Bring to a boil then reduce heat to a simmer. Let simmer 30-45 minutes. Serve with shredded cheese and corn chips. Double recipe for a crowd. If you are using your crock pot, just brown your meat in a skillet then dump everything in the crockpot. Cook on low for 8 hours or high for 4 hours.